At the bottom edge of the setting Sun, here, there may be a green flash. The “green flash” is not a new Marvel Comics superhero but a subtle and interesting phenomenon sometimes seen just before sunrise or just after sunset; a green-colored ray or spot is seen just above the horizon. 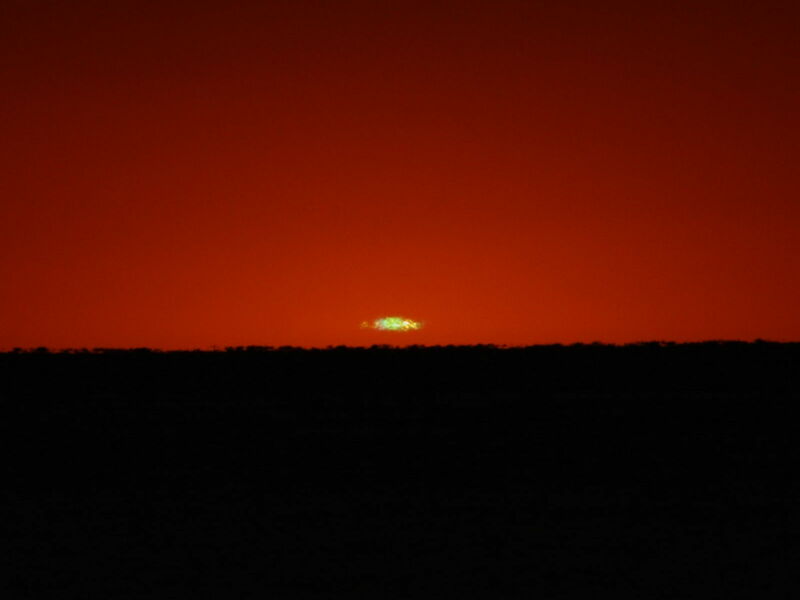 CAA member Jay Reynolds observed and photographed an occurrence of the green flash on Aug. 6 from Kelleys Island. “Unfortunately, as these predictions go, the possibility of seeing it was well announced by TV meteorologists…” said Reynolds, “but this occurrence was subtle and not easily detectable.” In other words, many looked for the flash but few saw it! 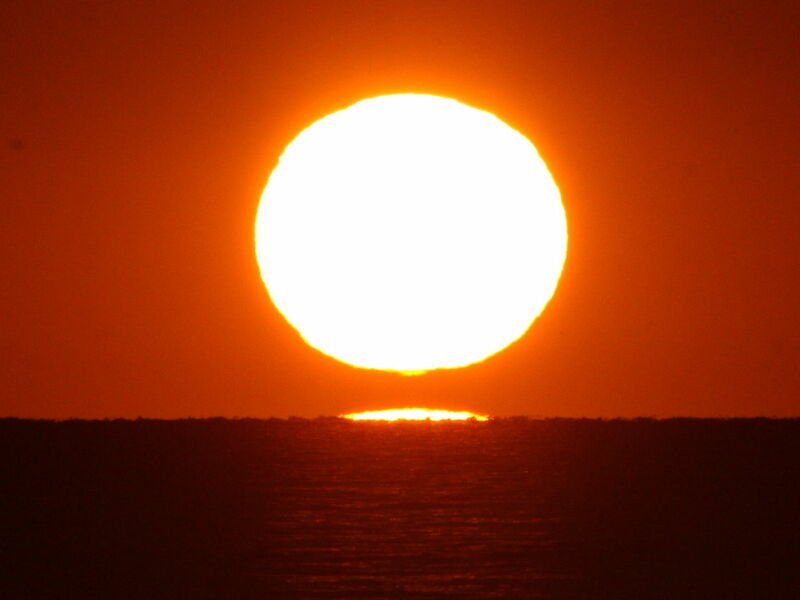 Green flash is visible just after sunset August 6, 2012. Enlarge to best see color. “Photo number two is the best of the main sequence,” said Reynolds of his images. Viewed in a larger size, the green coloration is easily visible. This entry was posted in Uncategorized and tagged astrophoto, green flash, Lake Erie, ohio, photograph, solar, sun. Bookmark the permalink.